Every five years starting in 1996 Uzbekistan delivers a report before UN Committee for Human Rights on the implementation of the International Covenant on Civil and Political Rights. There are very few people aware of this document in Uzbekistan, save the officials and a handful of pro-government NGOs like the Committee of Women of Uzbekistan or the Ijtimoiy Fikr Sociology Centre, which characterise themselves as independent for some reason. 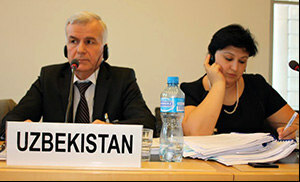 Public hearings of another report took place at the Wilson Pallaise in Geneva, Switzerland on July 8-9, where an delegation from Uzbekistan responded to questions 18 members of the committee had to ask them. The delegation from Uzbekistan included four delegates, three of whom are lowest tier officials in their agencies. Specifically, Yevgeniya Lankevich, the head of the department for human rights under the ministry of internal affairs, Shakhnoza Yakubjanova, the deputy chairman of the administration for human rights under the ministry of justice, and Dilnoza Muratova, the head of the international affairs department at National Centre for Human Rights, represented Uzbekistan along with the prosecutor Islam Jasimov. It is noteworthy that Akmal Saidov, the head of the National Centre for Human Rights and two-time presidential candidate, has not participated in such meetings for the first time. The reasons for his absence were not made available. However, there is presumption that Saidov’s absence was caused by eccentric behaviour during the hearing of a report he was delivering on the implementation of the Convention against torture and other cruel, inhuman or degrading treatment or punishment in October 2013. Outraged by harsh questions posed by the committee members, Akmal Saidov, a professor of human rights, shouted indecently loud and accused the committee against torture of interfering with Uzbekistan’s internal affairs and threw papers at those present. Tashkent does not appreciate extra emotionality even if it is expressed in defence of the state. Drabness and tameness are the main qualities the Uzbek officials must have; Professor Saidov’s extra nervousness was tainting the familiar image of the Uzbek political establishment. So this time the delegation was headed by the chief of the administration for human rights and freedoms defence under the Prosecutor General’s office, Islam Jasimov. According to his own words, he was one of the state attorneys in the only open trial on the Andijan events in September 2005. The trial saw not even a one substantial question on the tragedy and none of the 15 defendants was able to choose a lawyer; the prosecutors demanded capital punishment for two defendants; and the defendants’ relatives learnt about the trial from news on TV. “Today, we can say with certainty that relations between Uzbekistan and the UN were enhanced with significant events since attaining independence, and they are dynamically developing in every direction…” Mr Jasimov said in his speech. -	over 8,000 NGOS are registered and branches of 30 international organisations are active in the country. But Mr Jasimov had to confess that proximity to Afghanistan and an inflow of narcotics as well as the threat of international terrorism and extremism “forces the government to commit resources to fight this evil” and therefore “one must take into consideration the combined impact of internal challenges coupled with external threats on the process and quality of implementing the Pact” in this country. That is when the sufferings of the Uzbek delegation commenced—the committee members launched a barrage of questions, which would make one think they were not listening to the varicoloured report on the cheerful situation in Uzbekistan the head of the Uzbek delegation has just delivered. - Domestic violence and violence among spouses are not reflected in the Crime Code of Uzbekistan. Is there a law in the country, which defends women from violence in the family? Is the government planning to ratify the law on domestic violence, which would identify the responsibility of parents for corporal punishment? - What actions are undertaken to ensure an impartial and fair investigation into the Andijan events of 2005? Was any compensation paid to the victims and/or the family members of those who died in those violent days? - The circumstances leading to deaths in prisons remain undisclosed. Shed light on the investigation findings; is it possible to establish the causes of death? - The government abducts its citizens abroad and secretly returns them to home where they are subjected to torture. Such abductions of Uzbeks are still taking place in Russia. - Provide information on gap between legislation and reality in the field of forced labour and other fields. Are there specific facts? Even though children are no longer taken to fields, adults are still forcibly engaged in cotton harvesting. - Have the cases of torture victims been reinvestigated into? Was any compensation paid to the victims? In January 2014, the rights activists Fakhriddin Tillayev met with his lawyer and stated his right ear was bleeding and nails were driven under his fingernails. After all these tortures, he was sentenced to eight years of imprisonment in March 2014. - Why are the incarceration terms of imprisoned rights advocates and those sentenced for “religious extremism” extended after they serve their original terms in most cases? Why does an alleged failure to comply with internal regulations can lead to longer imprisonment? Why does the government do everything it takes to ensure one remains imprisoned even after they serve their original terms? - What steps are undertaken in order to ensure the supremacy of law in legislation on labour and what steps are undertaken to ensure the financial transparency and resolution of corruption in the cotton industry? - You mentioned no complaints were lodged by trade unions in regards with forced labour. However, we are concerned by the reports on the government suppressing attempts to express such grievances. For instance, the rights advocate Yelena Urlayeva was arrest on May 31, and subjected to an outrageous and humiliatingly brute treatment for her attempts to document the facts of forced labour in the cotton industry. Police officers and doctors used tranquilisers and confiscated a flashcard from her camera. What actions is the government undertaking to investigate into this event and punish the culprits? - Judicial bodies are not independent and remain weak and inefficient under various government arms’ influence. What actions is the government undertaking in order to improve the situation? How do the authorities promote the judicial bodies’ independence? The lawyers are not independent: they are threatened and there are facts of imposing arbitrary disciplinary action; judicial proceedings are not competitive in nature between the prosecutors and lawyers. Does the government wish to correct this situation? - The government is present everywhere: it controls the Internet, mobile communications, local self-governance bodies. How could one avoid total control in a situation like this? - There is a new excuse in Uzbekistan used to supress freedom of speech and religious practices: people are accused of religious extremism. But the problem here is that we transgress the boundaries of battling religious extremism and thus obtain a mechanism for supress freedom of speech and religion as well as persecuting human rights activists. The UN committee members again raised the issue of holding an independent investigation into the Andijan events only to hear yet another categorical refusal. “Uzbekistan has repeatedly stated that the issue of Andijan is closed and would not be discussed any more,” Mr Jasimov fired back. The author wishes to draw the readers’ attention to the following arguments the Uzbek delegation offered. According to Jasimov, there was no disproportional use of firearms in Andijan, because—wait for it—not even one journalist among tens of other journalists was killed that day. “If firearms were used there, then why didn’t even one reporter present on the square die? How did they remain alive?” said Islam Jasimov, expressing perplexity. He also said two foreign delegations visited Uzbekistan in 2006 and 2007 at the request of the OSCE [Organisation for Security and Co-operation in Europe]; they were permitted to visit Andijan and meet inmates (convicted for Andijan events) in a prison in Tashkent. “What other investigation could one talk about? What is an international investigation? There were two commissions, we opened all the doors and showed everything—what other investigation could there be?” were the words Mr Jasimov chose to further express his surprise and bafflement. The Uzbek delegation had the following to say regarding forced labour: “There is no forced labour because there was not even a single complaint [to that effect] was lodged. We have been regularly monitoring the cotton-picking process in Uzbekistan since 2013. There was a joint monitoring with the International Labour Organisation in 2013. Also, there as a nation-wide monitoring administered in 2014, and there was not even a single complaint about forced labour was received. “Cotton is one of the most important sources of hard currency. One-hundred per cent of lands belong to the farmers, except not all farmers are strong yet. Not all have the capacity to collect their harvest independently. But the cotton harvest must be collected before the rains start, hence the government’s help for farmers to collect cotton. Dilnoza Muratova had the following statement to make: “Uzbekistan has been purposefully and consistently implementing measures aimed at bringing about favourable conditions for freedom of mass media activities. Over the last five years, 10 laws and other documents were adopted with the purpose further democratising, boosting activeness and promoting openness of mass media. 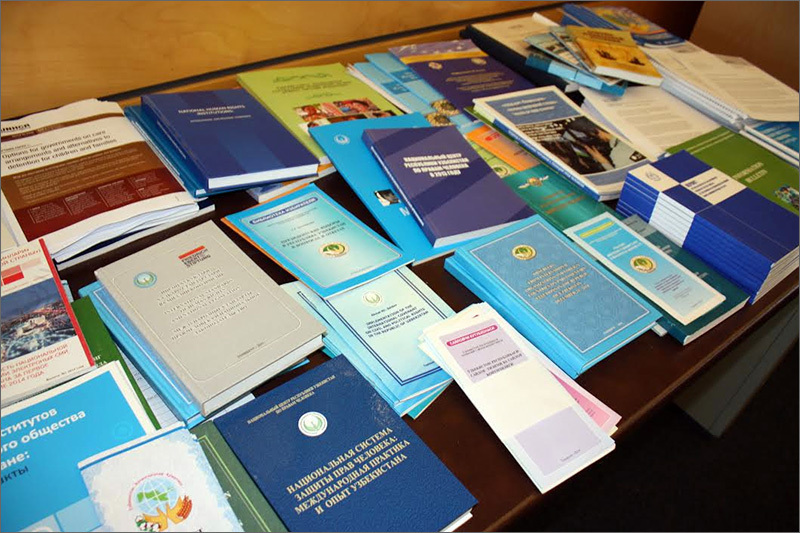 “As of January 2015, over 1.400 mass media were registered in Uzbekistan, including 970 print outlets and 100 electronic publications, where non-governmental organisations are founders of 53.4% of media outlet. Every state body has its own website and the government provides funds to support mass media outlets. Reports on persecutions of journalists are ungrounded. The criticism of authorities is encouraged. “Concerning foreign mass media outlets registered in the country: there are offices of 27 media outlets. The Uzbek delegation: “Mosques operate independently from the government under the management by Spiritual Administration of Muslims. “Our courts are impartial because they prohibit the prosecutors’ offices from launching criminal investigations in certain cases. [Here are some] statistics: courts refused to allow launching a criminal investigation in seven cases among 9,814 cases that eventually led to sentencing in 2013; the figure was 11 among 8,654 cases in 2014. The delegation: “The penitentiary system is dynamically developing and the arguments [to the contrary] alternative reports contain are groundless. The penitentiary system of Uzbekistan is sharing its experience with other countries; it is transparent and accessible for public. In 2013, delegations of various embassies paid a total of 29 visits to prisons and ‘so-called human rights activists’ Vasila Inoyatova, Anvar Karimova, Surat Ikramov and Abdurakhmon Tashanov visited such institutions last year. “Prisons exist in order to re-educate those who end up there, so they change [for better] and re-join society with clean consciousness after they are released. The inmates are encouraged to observe the penitentiary regime rules in order to not be held accountable based on Article 221 (violating prison rules). Sessions of this kind are the only opportunity to hear the Uzbek authorities explain the reasons behind mass violations of human rights. Although, like in many other authoritarian nations, the Uzbek authorities are more concerned with presenting the country to the international community in a favourable light than actually working on improving the lives of their own people.